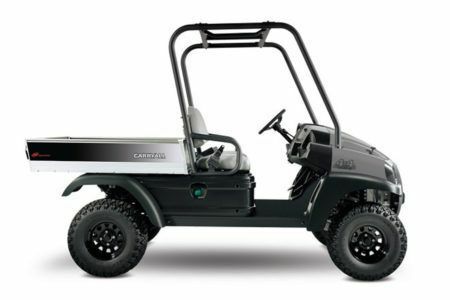 A perfect combination of muscle and flexibility, the Carryall 1500 is an all-around, high-performance machine. It’s the only utility vehicle in the industry with our exclusive IntelliTrak™ system, an automatic, four-wheel-drive system that senses the ground you’re on and gives you more traction when you need it. Powered by a gasoline V-twin or commercial-grade diesel engine and sporting a full 12 inches of chassis clearance, this vehicle has what it takes to handle the toughest jobs in the toughest places. This is the machine that revolutionized the utility vehicle market: the rugged Carryall 1500 combined with our innovative hydraulic quick-attachment system and six task-oriented implements. 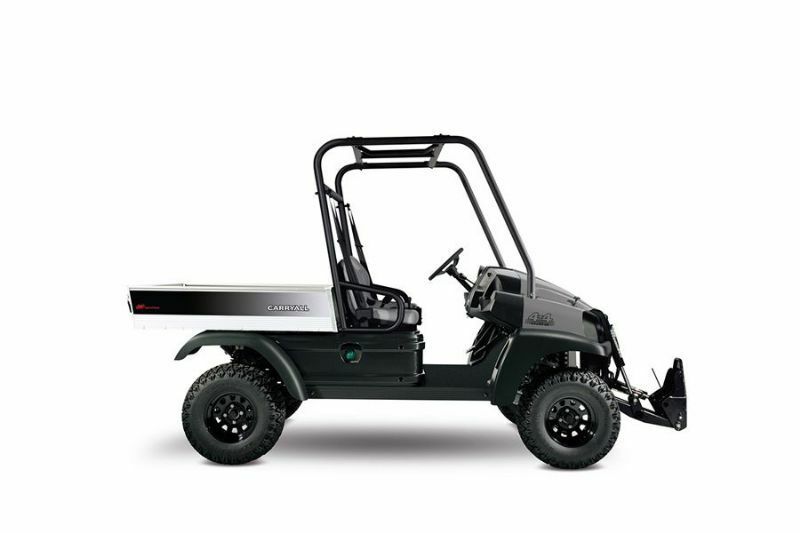 The result: the most versatile utility vehicle available anywhere. The exclusive IntelliTach quick-change attachment system comes standard with a loader bucket attachment. You’ll eliminate the need for multiple vehicles – and save time and money – by equipping your Carryall 1500 for additional jobs with optional implements such as the plow blade, broom, pallet forks and mower. The original full-size, work-crew vehicle has room for four passengers and 800 pounds of cargo, ensuring that your team can get the job done on the first trip. 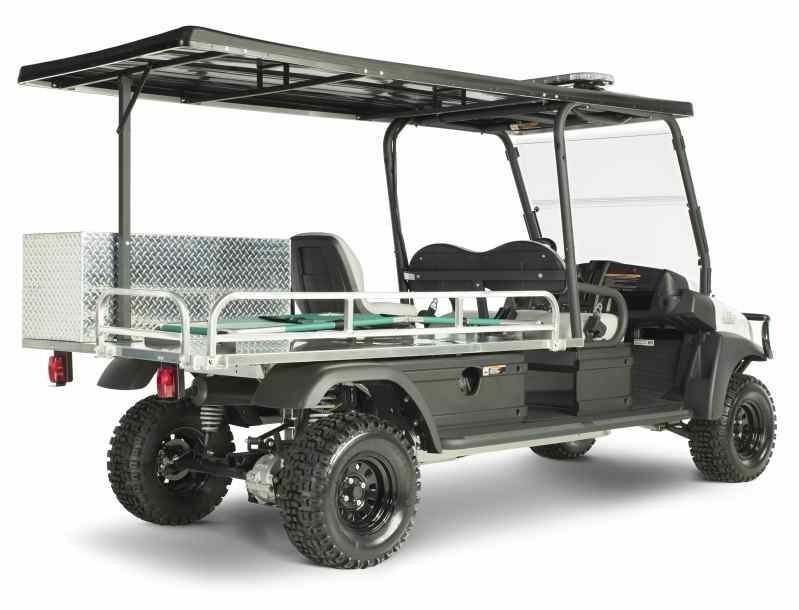 The Carryall 1700 SE builds on the features of the rugged Carryall 1700, adding additional seating without sacrificing cargo capacity. With unstoppable power and an extra-large chassis, this vehicle comes equipped with our exclusive IntelliTrak™ system, an automatic, 4-wheel-drive system that senses the ground you’re on and gives you more traction when you need it. Have a unique challenge that requires more specific solutions? Let Club Cars Custom Solutions department help. They're equipped to create the perfect 4X4 utility vehicle to allow you to increase productivity - and they're ready when you are. 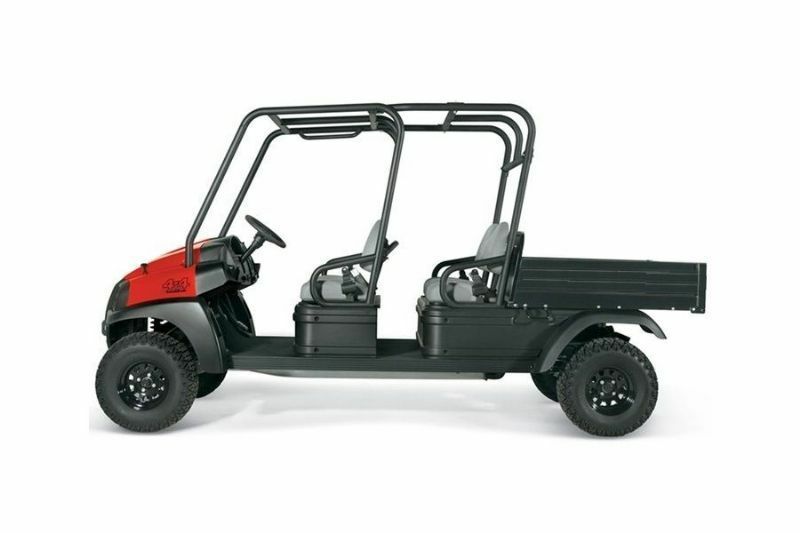 Be sure to look at our Fit-to-Task series vehicles to see if one fits your needs and talk to Aggieland Golf Cars to get started building the perfect custom utility vehicle tailored to you!